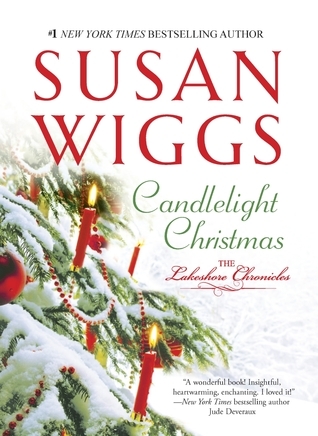 Spotlight on Susan Wigg’s Candlelight Christmas + excerpt + Contest! 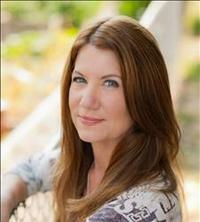 I am delighted to be part of Susan Wiggs’ tour for her newest Lakeshore Chronicles story Candlelight Christmas! *Snoopy dance* Holiday romance! I love holiday romances. 🙂 I can’t wait to read more about Darcy and Logan. <g> Check out the excerpt and enter to win a print copy of Candlelight Christmas! “Hel-Zo. The landing was a lot different,” Charlie pointed out. The encouragement came from Andre, Charlie’s best friend. The two had been inseparable all summer long, and if anyone could talk Charlie into something, it was Andre. He was one of the city kids in the program. He lived in a low-income project in the Bronx, and for Andre, it had been a summer of firsts—his first train trip, his first visit upstate to Ulster County, where Camp Kioga nestled on the north shore of Willow Lake. His first time to sleep in a cabin, see wildlife up close, swim and paddle in a pristine lake…and tell ghost stories around a campfire with his buddies. Logan liked the fact that at camp, all the kids were equal, no matter what their background. “I kind of want to do it,” Charlie said. Logan’s heart went out to the kid. Blake had been Charlie’s beloved dog, a little brown terrier who had lived to a ripe old age. At the start of summer, she’d passed away. Apparently Charlie was dreading his return to his mom’s dogless house. Charlie stared at the planks of the platform. “Yeah.” He didn’t sound convinced. “Tell me something nice about Blake,” Logan said. Aw, jeez. Logan patted him on the shoulder. “You can talk to your mom about it tomorrow, when you see her.” Yeah,, he thought. Let Charlie’s mom deal with the mess and inconvenience of a dog. “Kids were telling ghost stories in the cabin last night,” he said, picking at a thread in the webbing of his harness. Logan pointed to the group of kids and counselors on the distant platform. “They all got across, no problem. You saw them.” The other campers appeared to be having the time of their lives, eating Cheetos and acting like Tarzan. “Sure, buddy.” Logan clipped Charlie to the safety cable and himself to the pulleys. “You’re gonna love it.” With a grin, he stepped off the platform into thin air, giving Charlie the thumbs-up sign with his free hand. “Why is he staying over there?” asked Rufus, one of the kids. “I bet he’s scared,” said another kid. “Everything all right?” Paige put her hand on Logan’s arm. Paige had a crush on him. Logan knew this. He even wished he felt the same way, because she was great. She was a kindergarten teacher during the school year and a Camp Kioga volunteer during the summer. She had the all-American cheerleader looks, the bubbly, uncomplicated personality that most guys couldn’t resist. She was exactly the kind of girl his parents would want for him—pretty, stable, from a good family. Could be that was the reason he wasn’t feeling it for her. “Good point.” Logan saluted her and jumped off, crossing back to the platform on the other side, where Charlie waited. The zipping sound of the pulley and cable sang in his ears. Damn, this never got old. “Unhook me.” Beneath the helmet, Charlie’s face was pale, his green eyes haunted and wide. “When you have a chance to do something and then you don’t do it and later on you wish you had,” Charlie muttered. Logan unhitched himself. Charlie studied the cables and pulleys with a look of yearning on his face. Okay, Logan admitted to himself, it bugged him that Charlie had conquered the jump off the dock with his mom, but Logan couldn’t get him to push past his fear of the zip line. He had a flashing urge to grab the kid, strap him in and shove him off the platform, just to get him past his hesitation. Then he remembered his own pushy father: get in there and fight. Don’t be a chickenshit. Al O’Donnell had been a blustering, bossy, demanding dad. Logan had grown up resenting the hell out of him in a tense relationship that even now was full of turmoil. A sense of tradition hung like the painted paddles and colorful woven blankets on the walls. The old Catskills camp had been in operation since the 1920s. People as far back as Logan’s grandparents remembered with nostalgia the childhood summers they’d spent in the draughty timber-and-stone cabins, swimming in the clear, cold waters of Willow Lake, boating in the summer sun each day, sitting around the campfire and telling stories at night. In a hundred years, the traditions had scarcely changed. But the kids had. Back in the era of the Great Camps, places like Camp Kioga had been a playground for the ultrawealthy—Vanderbilts, Asters, Roosevelts. These days, the campers were a more diverse bunch. This summer’s group included kids of Hollywood power brokers and Manhattan tycoons, recording artists and star athletes, alongside kids from the projects of the inner city and downriver industrial towns. At the moment, Christmas seemed light-years away. Logan wondered how the hell he’d keep himself busy after Charlie left. He had his work, a thriving insurance business he’d founded in the nearby town of Avalon. If he was being honest with himself, he was bored stiff with the work, even though he liked helping friends and neighbors and made a good living at it. Now that Charlie’s mom had remarried and moved away, Logan was starting to think about making a change. A big change. “We made you some stuff,” said Goose. “Real ugly jewelry, and we’re gonna make you wear it,” Fisher told her. “If you made it, then I’m sure it’s beautiful,” she said. “None, thank God,” she said with a shudder. “Then you came to the wrong place.” He gestured around the dining hall, swarming with excited, hungry kids. To him, it was a vision of paradise. He liked kids. He liked big, loud, loving families. It was the tragedy of his life that he was restricted to summers and holidays with his only child. “So you live in the city?” he asked. “In SoHo. I didn’t have anything thing else going on this weekend. Yes, I’m that pathetic friend everybody feels sorry for, all alone and getting over a broken heart.” She spoke lightly, but he detected a serious note in her tone. “Not for long, anyway. Anything I can do to help?” He instantly regretted the offer. He had no idea what to do about someone else’s broken heart. I am going home to Montana to be with my parents and siblings! My first Thanksgiving home in 6 years! I will be spending Thanksgiving with my parents, we always have a big dinner. We all gather at my Dad’s home for Thanksgiving dinner and plan our shopping attack for Friday … family tradition to Black Friday shop like crazy people but we love it! My cousin and her family are coming here where most of us are. She’ll be making the big meal so she’ll arrive a day or two earlier to set up. I am having Thanksgiving at my house. There will be 18 of us! As a lot of our extended family will be elsewhere this year due to jobs and deployments, we plan on helping out at the local community meal this year, and then making Christmas cookies on the weekend. I will be spending the Thanksgiving with my Dad and my hubby. My Dad has us over for Thanksgiving and Christmas. I’ll be spending the holiday with my immediate family and having Turducken. Yum! NO PLANS FOR THIS YEAR. THANKS FOR THE GIVEAWAY! Well, my family is coming to my house and I’m helping my mother make dinner for everyone! I’m making these awesome Apple Cider cupcakes with Salted Caramel buttercream. They are going to be delicious! We already had our Thanksgiving in Canada. I spent it with my extended family, eating turkey and playing games. Next PostNext Quickie Ten with Liz Crowe + Spotlight on Good Faith + Contest!